You’ll find how applying practical, biblical principles can transform your finances…and every area of your life. 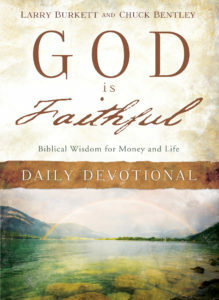 Chuck and Larry deliver hope to you and your family in this inspirational collection of 365-daily devotionals. Learn to be a wise steward of your resources and discover biblical insights for giving, debt, money, and investing.